Attorney Advertising Notice: Any prior results portrayed through this website were dependent on the facts of that representation and do not guarantee, and shall not be inferred to guarantee, a similar result. Any result in any legal representation is dependent on the facts and circumstances of the situation at that time, which will be different from those of any other situation. Statement in Compliance with California Professional Code and Rules: This website is a communication providing public information about the availability of the Law Office of John A. St. Clair, P.C. for professional employment. Disclaimers: Nothing stated in this website shall be construed as a source of legal advice on any subject matter. The information in this website is provided as general information only. Nothing on this website is an offer to represent any person or entity. Any access to or use of this website shall not create an attorney-client relationship with the Law Office of John A. St. Clair, P.C. or John A. St. Clair. Such an attorney-client relationship can only be created by a written engagement agreement with this firm. The content of any electronic (e-mail or other) communication or writing sent to the Law Office of John A. St. Clair, P.C. or to John A. St. Clair at the e-mail or postal addresses set forth in this website (or to any other address or location) will not create an attorney-client relationship, may not be treated as confidential, and will not preclude the Law Office of John A. St. Clair, P.C. from representing another client directly adverse to the sender of the communication. Do not send confidential information or information that you regard as privileged to John A. St. Clair or the Law Office of John A. St. Clair, P.C. unless a written engagement agreement has been entered into. The Law Office of John A. St. Clair, P.C. does not seek to represent anyone in any jurisdiction where this website does not comply with all applicable laws and regulations. 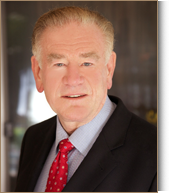 John A. St. Clair is licensed to practice law in California and New York only. No recipients of any content from this website, clients or otherwise, should act or refrain from acting on the basis of any information contained herein without seeking the appropriate legal or other professional advice on the particular facts and circumstances at issue from an attorney or other professional licensed to render such advice in the recipient’s jurisdiction.